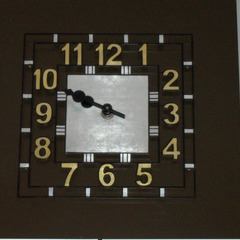 A skeleton dial clock face is a traditional dial cutout where only the markers, numerals and frame are shown. 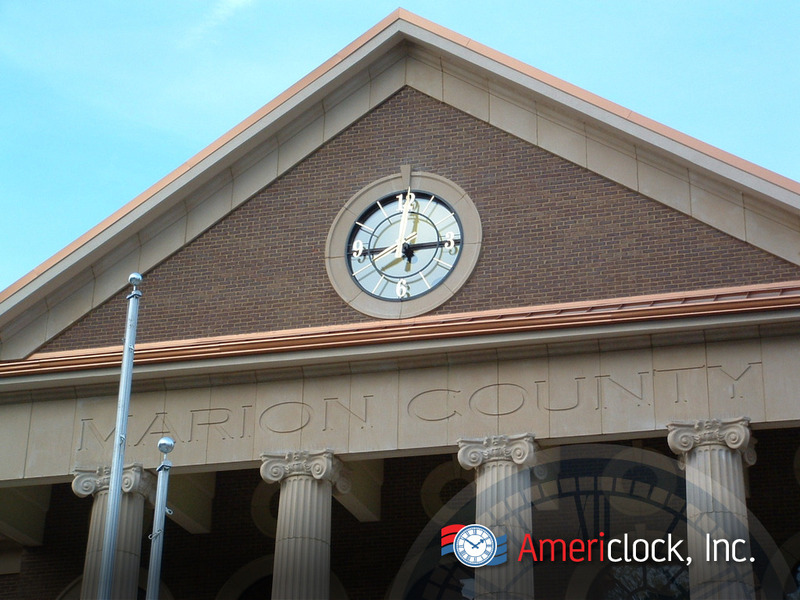 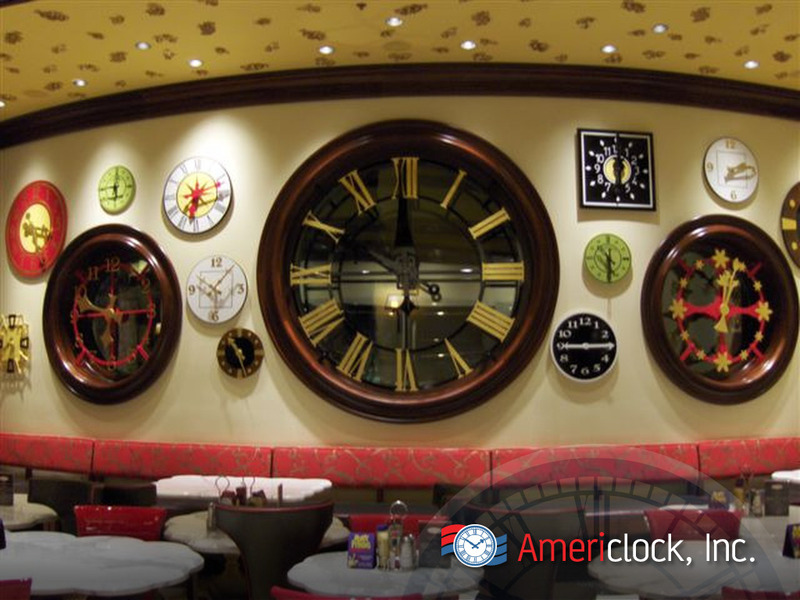 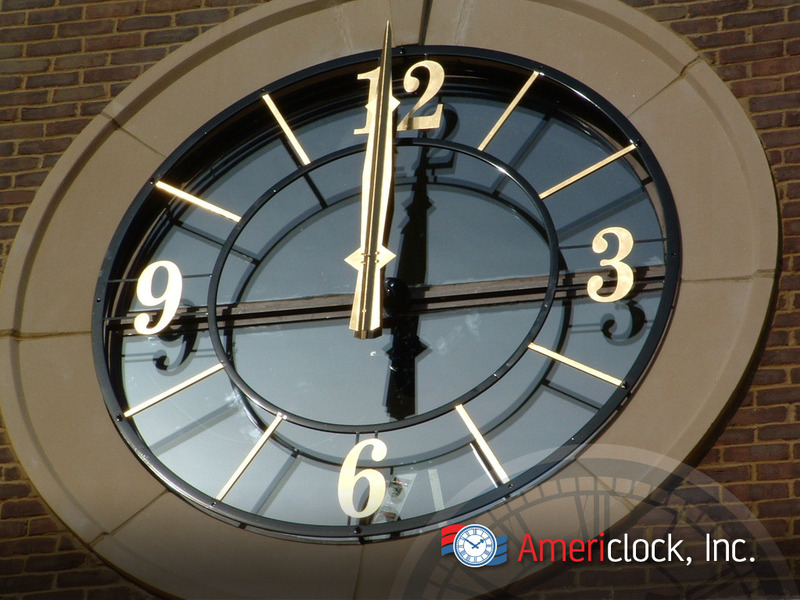 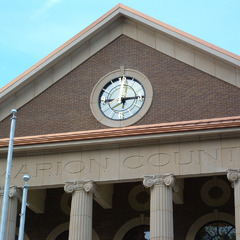 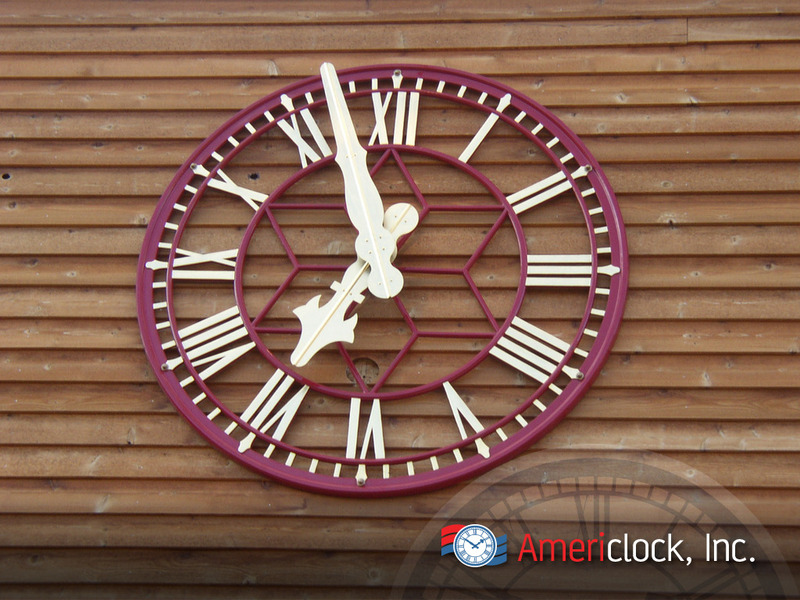 Americlock offers custom skeleton dial manufacturing for clocks ranging from three feet to thirty feet in diameter. 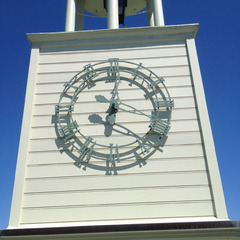 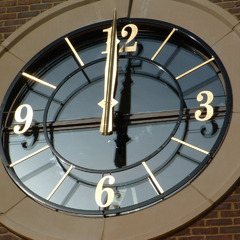 The surface where a skeleton dial is mounted becomes the backdrop for the clock (such as a glass, brick, or other material). 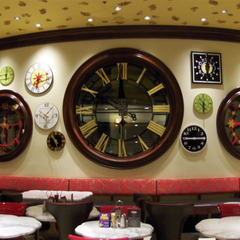 The backdrop can be polycarbonate or acrylic and lights can be installed behind the dial or mounted directly on the wall surface. 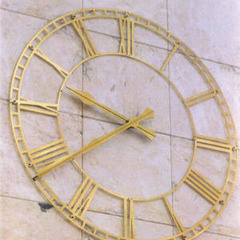 These clocks are fabricated in aluminum, stainless steel, brass, bronze, copper, or Corten steel. 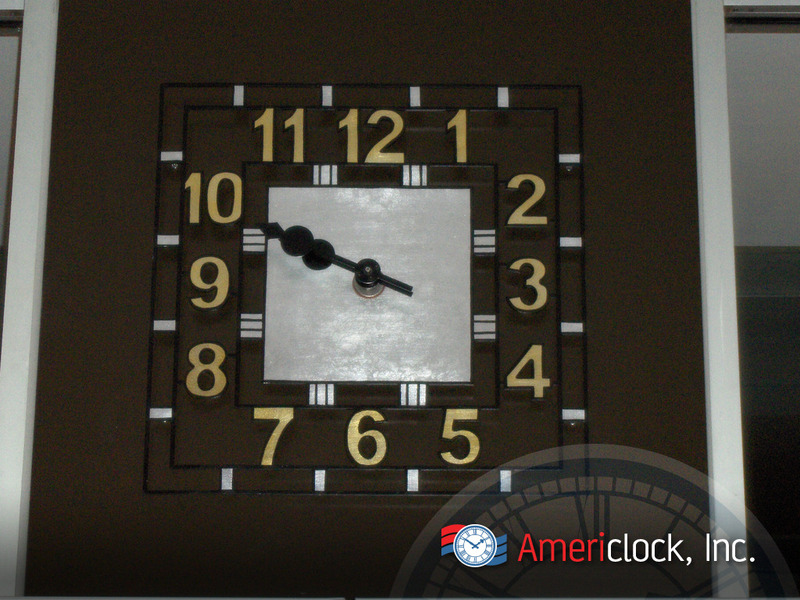 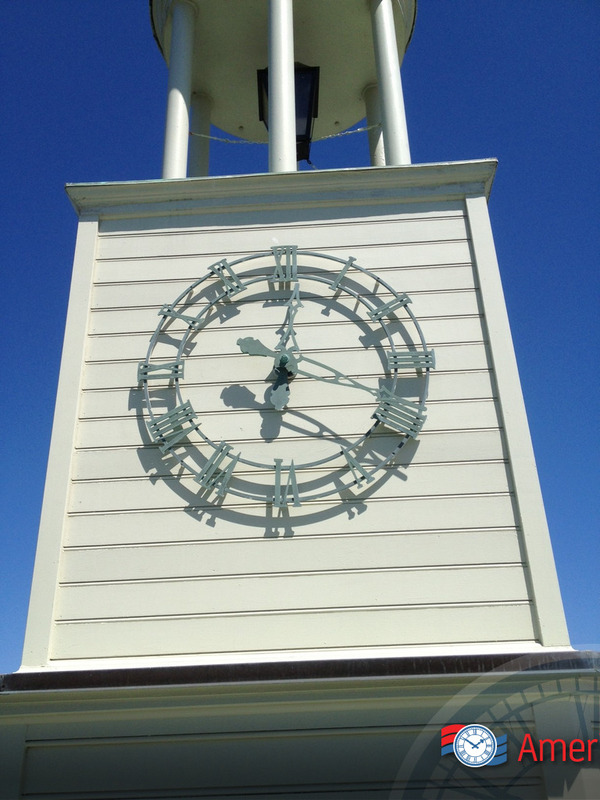 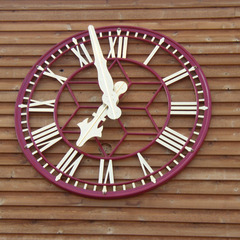 Skeleton dials can also be finished to look aged to fit the style and era of your building. 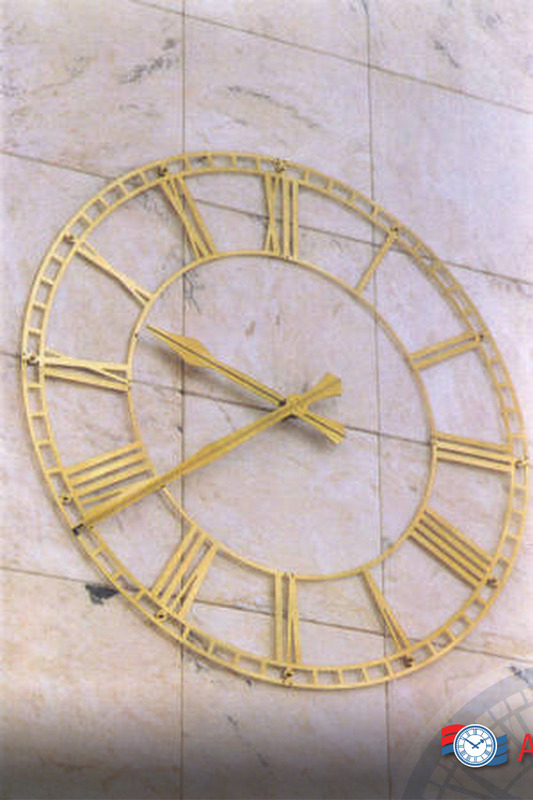 Traditionally Skeleton dials are done with Roman Numerals, but modern designs can also be used and incorporated into these dials and still be considered a skeleton dial. 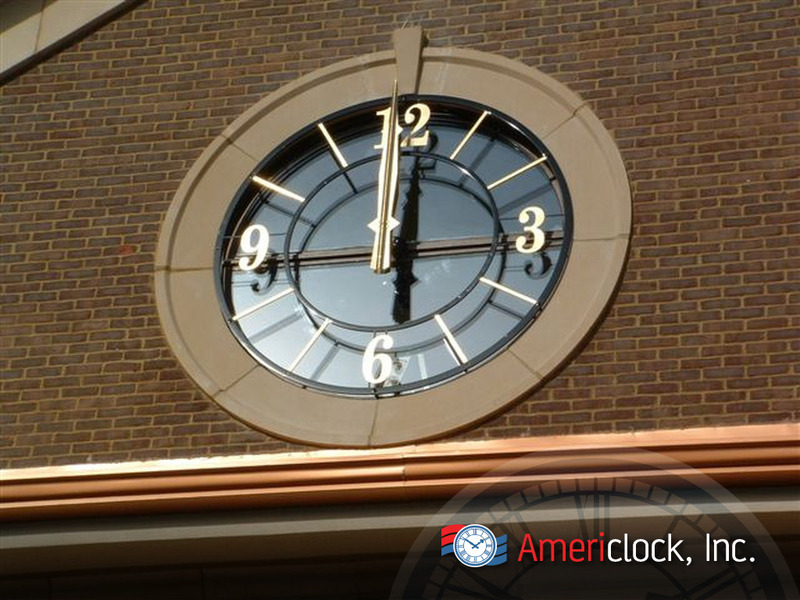 The most famous large Skeleton dial in the world is located on the Parliament building in London where Big Bend rings the hours however if you look around, you can see examples of these dials by Americlock installed in almost every state across the United States. 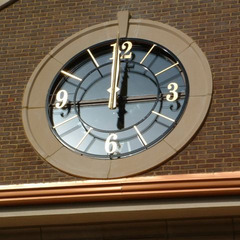 Our big skeleton dial clocks are powered by high-quality motors which are designed for outdoor use however they are equally as beautiful when added to indoor projects.